Backwater Valve - Keeping You Protected. With homeowners in Canada using their basements for much more than storage, it is more important than ever to protect the extended living space from moisture and water infiltration. 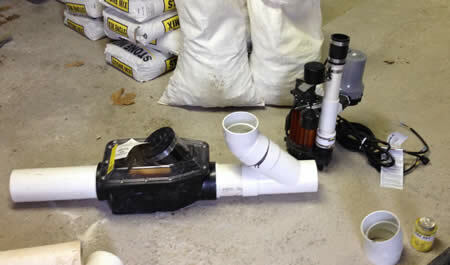 A key component to making sure your basement stays dry is to install a backwater valve. The work is quite extensive and will require a waterproofing professional. 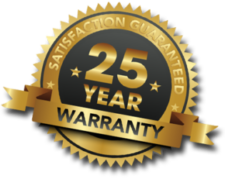 Royal Work Corp. has technicians trained in the proper installation and maintenance of backwater valves and are ready to help. A backwater valve or backflow preventer is installed below your basement floor on the main lateral drain line to prevent sewage or storm water from backing up in plumbing fixtures or drains. It senses a reverse flow and completely closes a gate to stop it from backing up. Typical backwater valves are made of 4" ABS plastic pipe with openings on either end for inlet and outlet of water/waste, a gate with floatation devices on either side, and a clear top with opening for visual inspection. A backwater valve is the last line of defense from allowing water to enter your home if your sewers are backing up. Every home drainage system is different, so it is important to discuss your plans for changing your current system. 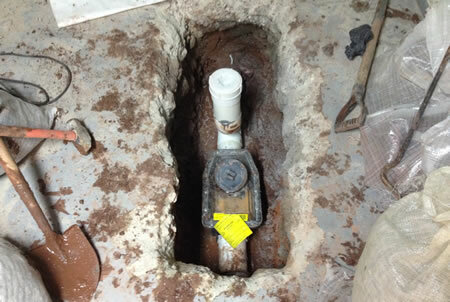 Once you've decided to proceed with installation of a backwater valve, our technician will break through the basement concrete floor and dig down to the sewer lateral. This is the pipe that sinks, tubs and toilet waste water flows through to the sewer. A short piece of lateral is cut out, the backwater valve is then lowered and secured. It will be necessary to disconnect the weeping tile from the sanitary sewer and possibly install a sump pit and pump. New concrete is poured to fill in the basement floor. The valve is designed to close if water ever starts to back up. There are two floatation devices on either side of a gate that will push it closed to prevent sewer water from re-entering the home. When the water pressure is released, the gate will drop back down flat and water will smoothly flow out again. The clear top on the valve allows regular checks to make sure it isn't clogged. The top should be tightly secured and regular inspection by a plumber is also recommended. Another area of concern may come from gutter downspouts that are connected to your sewer lateral. Disconnecting and extending them two metres away from the foundation will help prevent excess water from backing up during rainstorms. 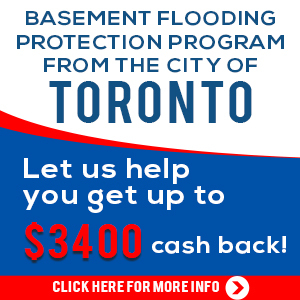 The City of Toronto offers homeowners a financial subsidy of up to $3,400 per property to reduce the risk of basement flooding. Owners are required to have a Toronto-licensed plumbing contractor perform an assessment and installation of flood protection devices such as backwater valve, sump pump and pipe severance from the external weeping tile or storm sewer connection. The Halton Region, including the cities of Burlington, Oakville and Milton, is providing a one-time subsidy to homeowners for flood prevention measures totaling a maximum of $2,725. 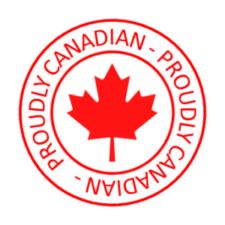 Reimbursement for materials, labour, permit and taxes for the installation of a backwater valve and disconnecting downspouts and weeping tiles from the sanitary sewer. 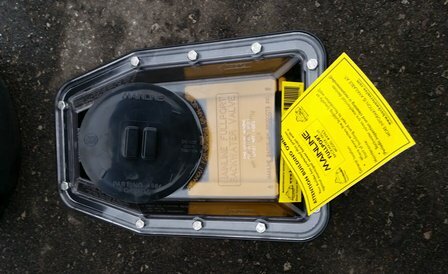 The Peel Region, including Mississauga, has a rebate program that provides $700 to homeowners for the installation of a backwater valve and disconnecting weeping tiles and downspouts from the sanitary sewer. Refer to City websites for application forms and more specific eligibility requirements. Proper sewer main air flow is needed for problem-free drainage throughout the city. The installation of an individual backwater valve allows for maintenance of the entire system without disturbing home drainage. Contact Royal Work Corp. today to prevent future basement flooding and help your municipality maintain a healthy system.